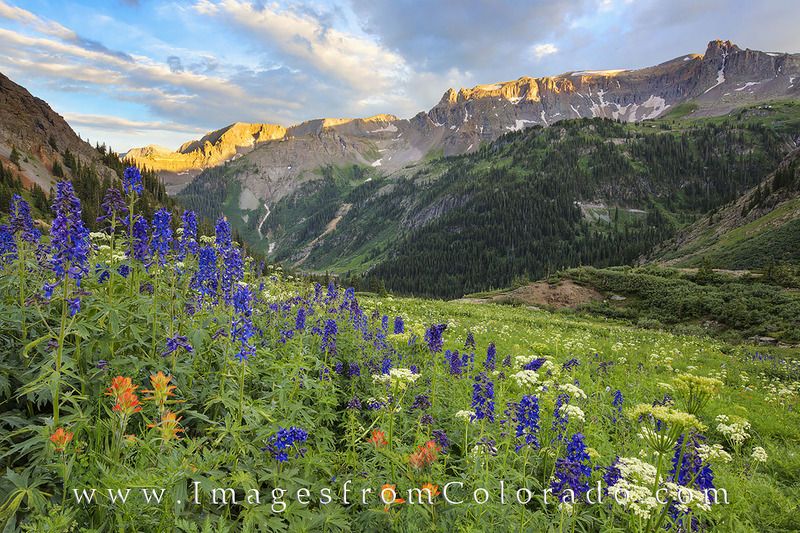 Blue lupines, red paintbrush, and other wildflowers fill the slopes and meadows of Yankee Boy Basin. The road from Ouray to this location is a 9.3 mile, 4WD dirt path, and if you time it right, the payoff is gorgeous summer flowers . You’ll probably find a few folks up here, but overall the road traffic is light and you’ll have ample solitude. Photo © copyright by Rob Greebon.